I must say I've taken many vacations but my stay in Elena House Vacation rental in Malindi is by far the best I've ever experienced! Initially, I had picked different vacation villa to rent but when the group grew to 13 people, I had to look for other options. Elena House was reasonably priced, available on the dates that we requested and was willing to accommodate 13 people = perfect match! Upon arrival, we were blown away - it's such a beautiful compound - we never wanted to leave the pool! Heads up: the deep pool is saltwater and is not chilled...not a pleasant surprise in anybody's nose or mouth! The small plunge pool is chilled and chlorinated. The house helpers were absolutely amazing! That chef makes pure magic in that kitchen! Alex was so pleasant and so patient. Elena House vacation Rental in MALINDI Kenya has one large swimming pool and a children’s pool all surrounded by lush tropical gardens. Blessed by the coastal monsoons all year round, the Villa provides an ideal setting for a holiday in paradise. 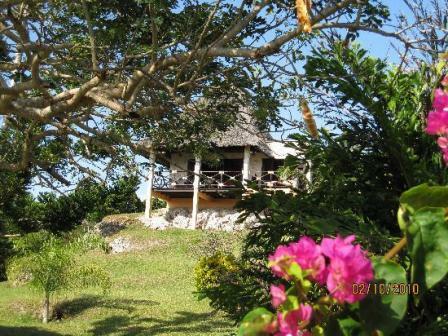 The Villa is well situated for fishing, and diving excursions, wildlife safaris and of course the history of Malindi town, a small fishing village visited by Vasco de Gama in 1498 while sailing the waters off the East African coast. All the beaches are surrounded by reefs and lagoons, where the clear waters of the Indian Ocean rarely dip below 27 degrees centigrade and team with an abundance of tropical fish and corals. Excursions, transfers, chauffer and self-drive car hire during your stay can be arranged subject to adequate notice being given.